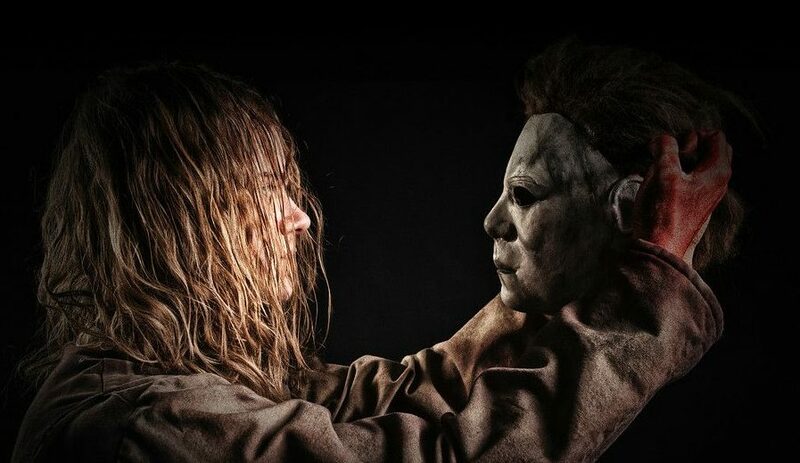 An official sequel to Rob Zombie’s 2009 Halloween II, director Quentin Yanez has launched a crowd-funding campaign to raise money for his fan film production of Halloween III: Family Ties, and the first official trailer for the project was released online today in celebration of #MichaelMyersMonday. Currently in pre-production, the final script is complete and casting is now underway, but we have some early promo art that teases how Michael will likely appear in the film, which you can view below. According to Yanez, “Right now Michael’s main look is a combination of both the remake and the original. We want Michael to feel iconic for both sides of the films’ history. We have gone to great lengths to get the same model coveralls as used in the previous film. Our amazing dyer and ager has made them look almost perfect, making them match the screen used pairs. If the crowd funding goal is met, the plan is to begin shooting in early July, but the cast and crew are dedicated to get the project completed even if they don’t meet their financial goal. If you want to support this project, you can check out what perks are available via the official Indiegogo campaign here. You can watch the official trailer for Quentin Yanez’s fan film Halloween III: Family Ties below!